Whether you are planning to build a new home or create a playroom for the kids, a spare bedroom for the in-laws or a family retreat for the long winter weekends, B² Design Build, a professionally licensed construction company serving the Minneapolis – St. Paul, Minnesota region, can make it happen. Our many satisfied customers often cite the high quality of detail and skill that are found in each of our new construction projects. Clients are always amazed with the dedication to superior customer service and attention to detail that we provide. 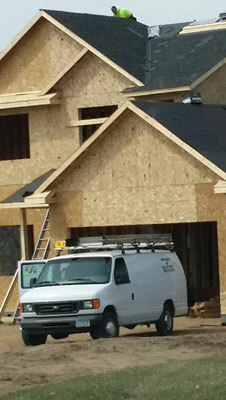 B2 Design is unmatched within the new home construction industry in our service area. Each new construction project that we build is assigned a timeline that assures that the creation or transformation of your home is completed as expediently as possible, without sacrificing the quality or value of our work. Our new home construction professionals strictly adhere to the budgets agreed upon at the beginning of each project because we know how important the financial parameters are within the construction industry. The design and construction experts at B² Design Build can turn your dream home or new construction project into reality. Contact us today to speak with one of our new home specialists via phone at 651-333-9394 or via email at info@b2designbuild.com.